FCI Food Corporation of India hiring for BE/ BTECH (Civil) | Govt./ PSU Engineers Job options in New Delhi. BE/ BTECH (Civil) required in Food Corporation of India FCI New Delhi. Posted in Apply online, Civil, Government Job, Job After Btech, With experience. Tags: BE/ Btech, Civil, December 2009, engineers, FCI, Food Corporation of India, Govt./ PSU, job, New Delhi on December 8, 2009 by kavita joshi. Posted in Computer Science, Freshers, IT, Job After Btech, With experience, Without Experience. Tags: BE, btech, Freshers, Java Developer, job, Mumbai, NextServices HSS Pvt Ltd, November 2009 on November 13, 2009 by kavita joshi. FULCRUM BIOMETRICS demands for BE/ BTECH (Computers, Electronics & Telecommunication) | Job Opportunities in Gurgaon. Computers, Electronics & Telecommunication Engineers needed in FULCRUM BIOMETRICS Gurgaon. Posted in Computer Science, Electronics and Telecommunication, Job After Btech, With experience. Tags: BE, btech, Computers, Electronics & Telecommunication, engineers, Experienced, FULCRUM BIOMETRICS, gurgaon, job, November 2009 on November 8, 2009 by kavita joshi. 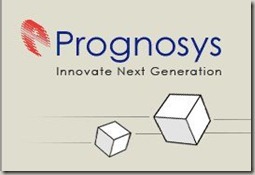 ePrognosys is a company of multi-team practising multi-national working culture. Every team contributes to the company in a unique and complementary way. Each task force is committed to ePrognosys’s success andworks towards one main goal; to be the best technological nearshore partner to our clients. The key to reach this objective lies in investing in training, designing effective career plans, working on a great variety of projects and offering varied challenges, as well as fostering a great place to work. Posted in Computer Science, Freshers, IT, Job After Btech, MCA, With experience, Without Experience. Tags: BE, btech, Computers, EPROGNOSYS, Freshers, HYDERABAD, IT, job, November 2009 on November 8, 2009 by kavita joshi.